A vivid red large antique Turkish Oushak rug, Country of Origin / Rug Type: Turkish Rugs, Circa date: 1900 – Regal and classically composed, this extra large antique Turkish Oushak rug boasts a rich, vibrant, happy and lively red color pallet that effectively brings to life the entirety of the large scale all over rug design. 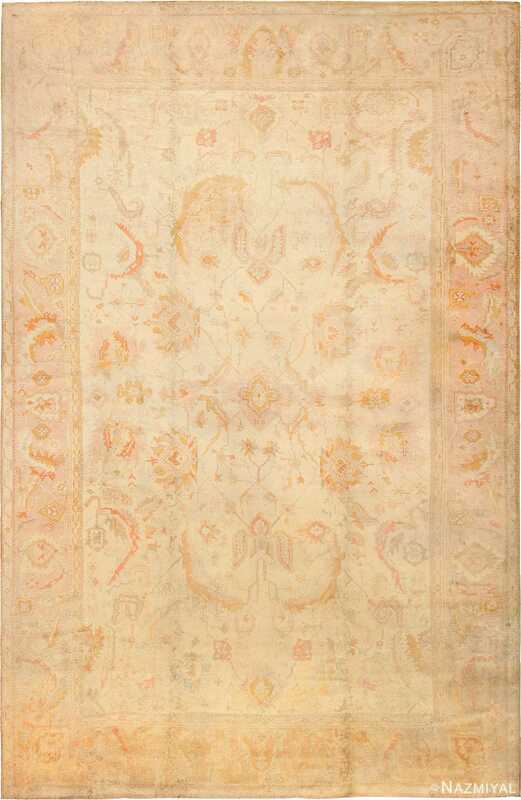 A soft background of purple serves as the setting for the main border, the details in which represent a happy coming together of the elegance of classical rug designs. 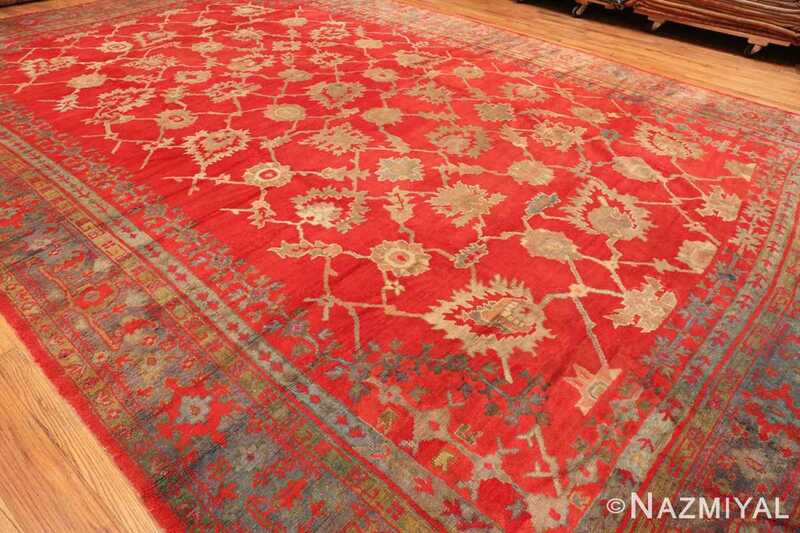 Meanwhile, this captivating antique large size rug showcases an impressively flowing allover pattern. 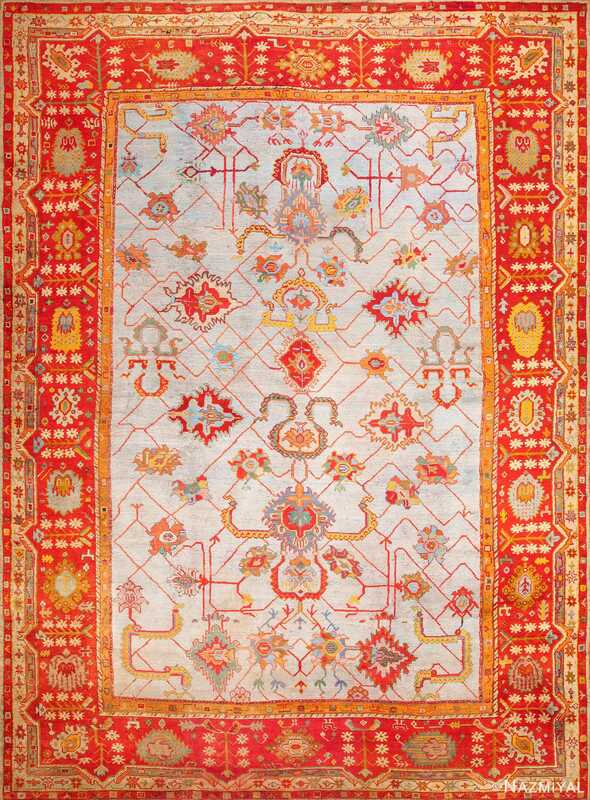 This magnificently drawn out pattern unfolds throughout the entire expanse of the field. 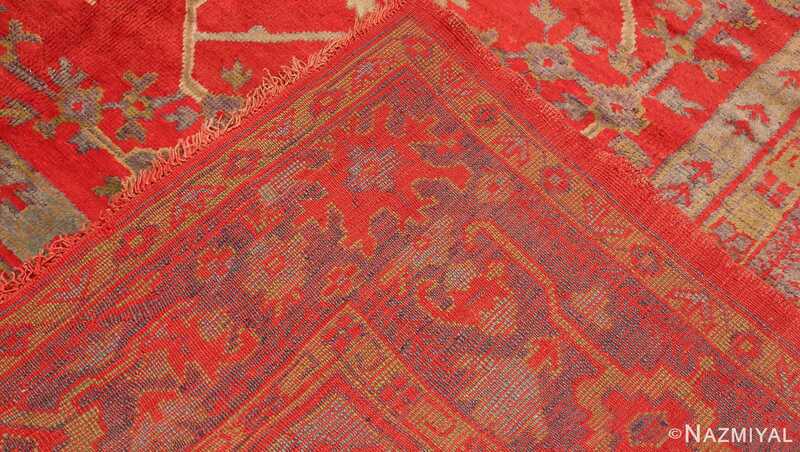 These light colored large size palmettes, are set against the rich red background which causes the detail work to really pop. 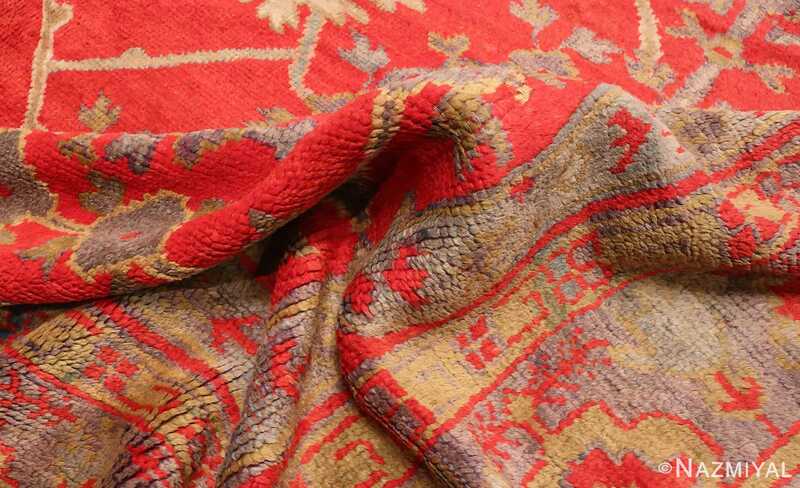 This exciting juxtaposition creates a feeling of excitement which speaks volumes about the care and attention that went into every single aspect of the antique rug’s creation. 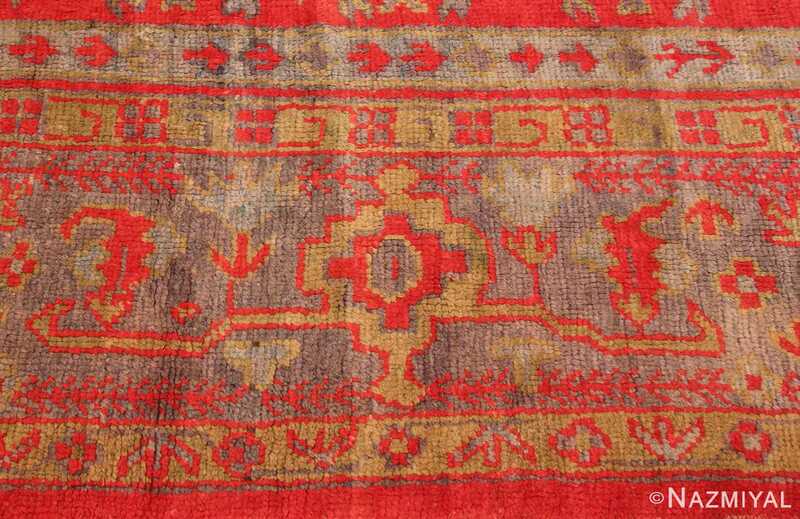 Most people tend to equate antique Turkish rugs from Oushak with the lighter color palettes. 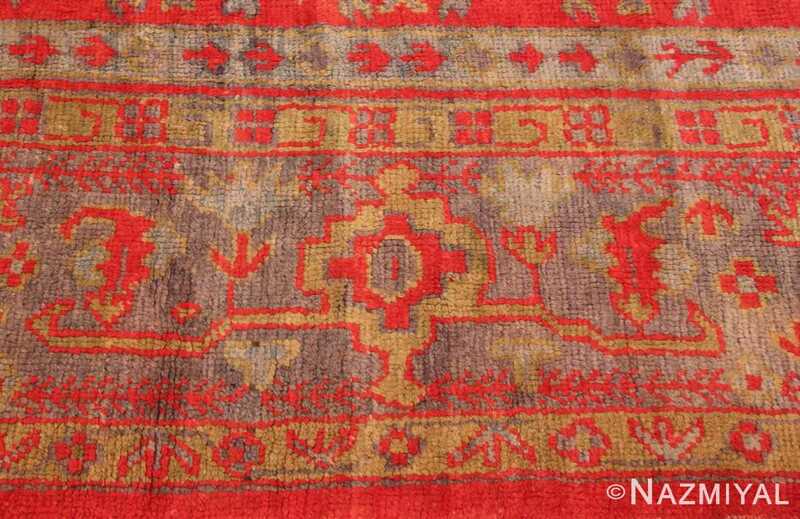 While many of the late 19th century Oushak rugs may fit that bill, this specific example harks back to the more original productions of the antique Turkish Smyrna rugs from the 18th and 17th centuries. 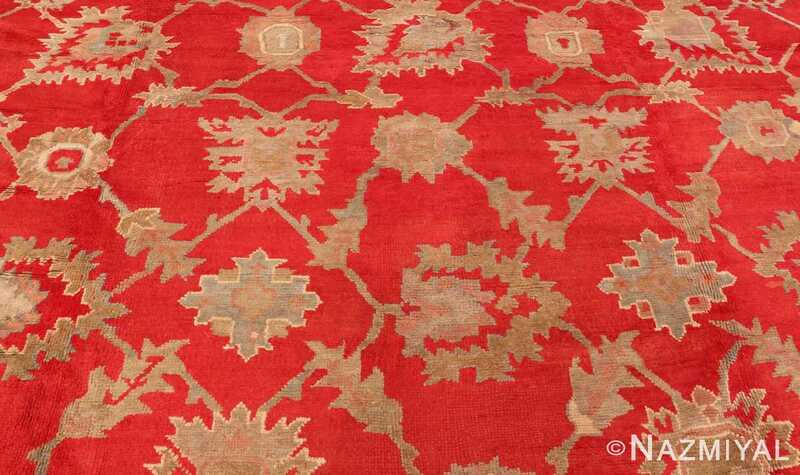 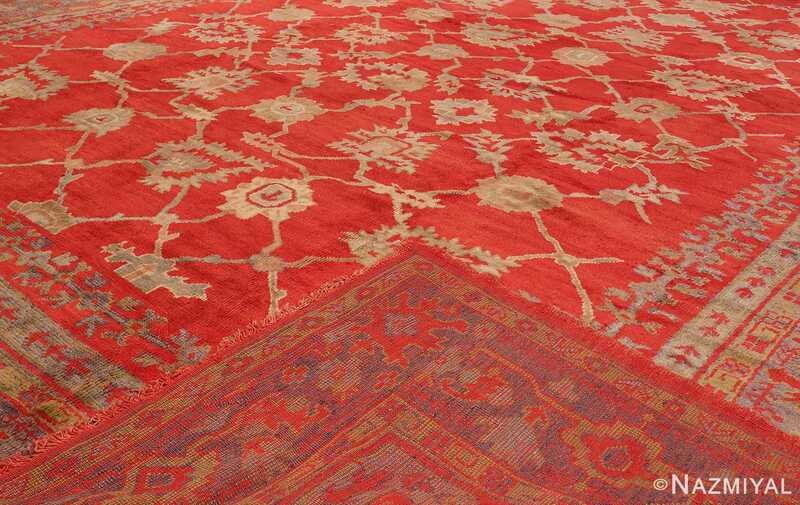 The use of bolder and richer jewel tone colors combined with the large scale all over design, make this large red colored antique Turkish Oushak rug one of the more exciting examples of its kind. 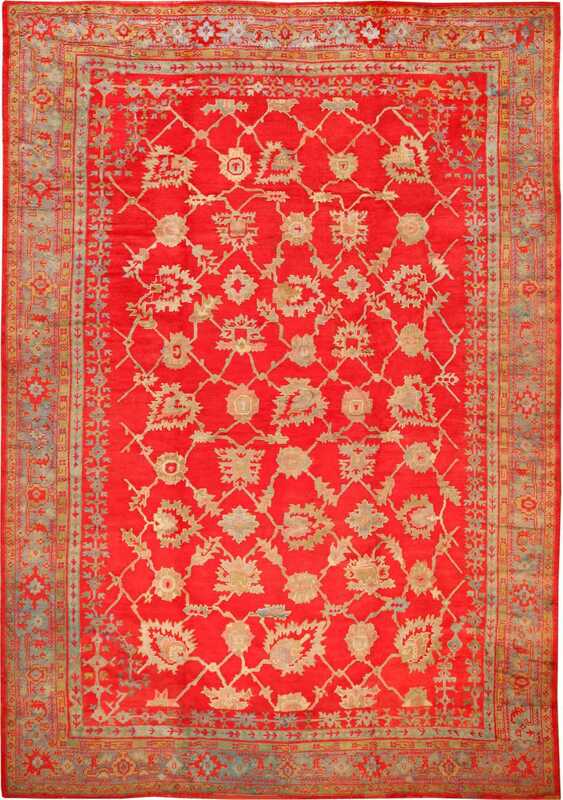 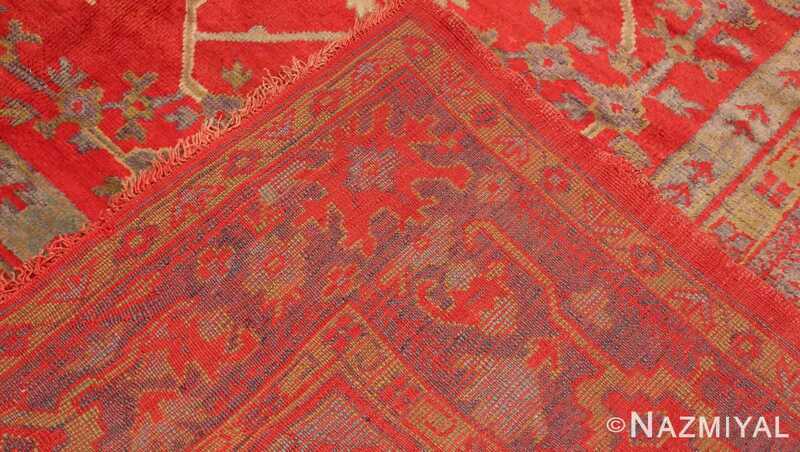 For people who love color, it simply does not get much better than this red background large size antique Turkish Oushak rug. 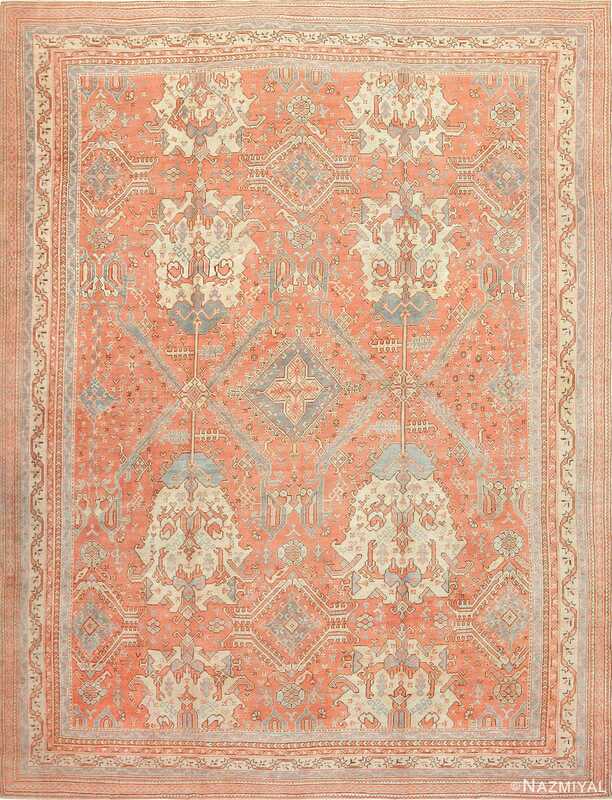 Its soft texture and happy colors give it a remarkable luxurious feel that will be sure to attract much attentions from whoever sees it. Without a doubt, this is the type of antique rug that is sure to become a cherished family heirloom for many future generations.